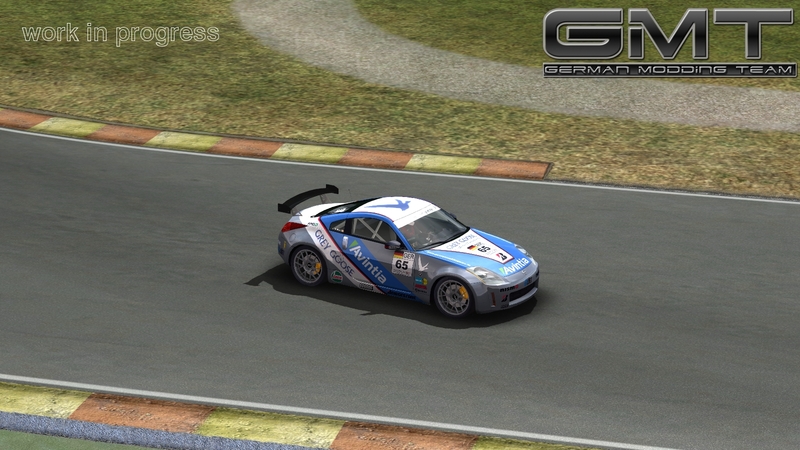 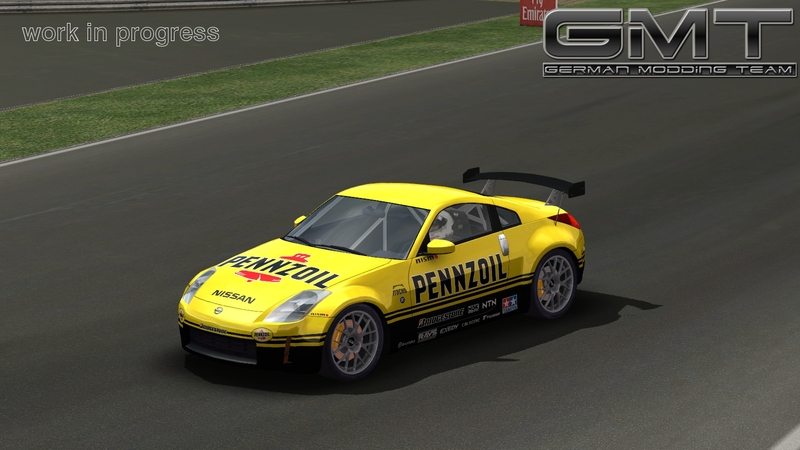 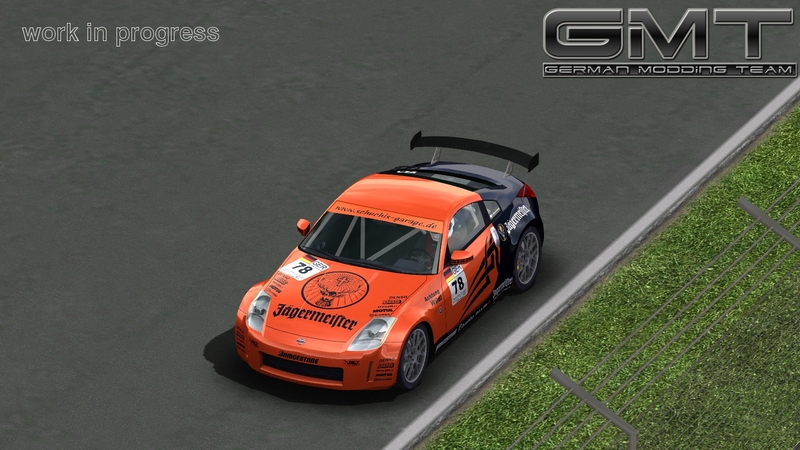 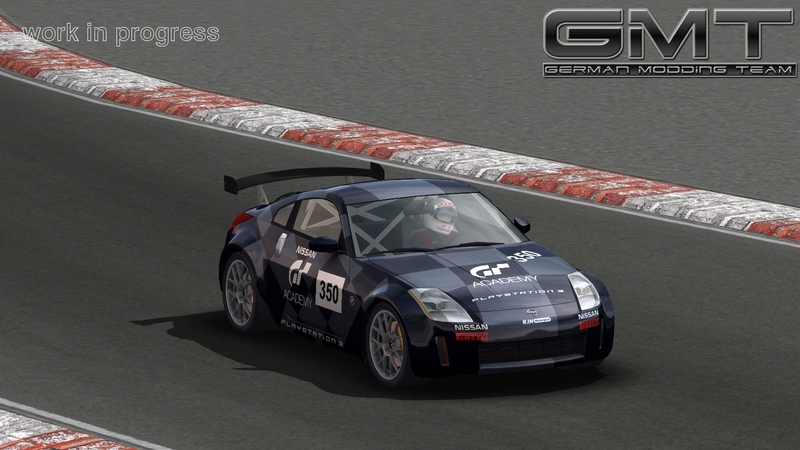 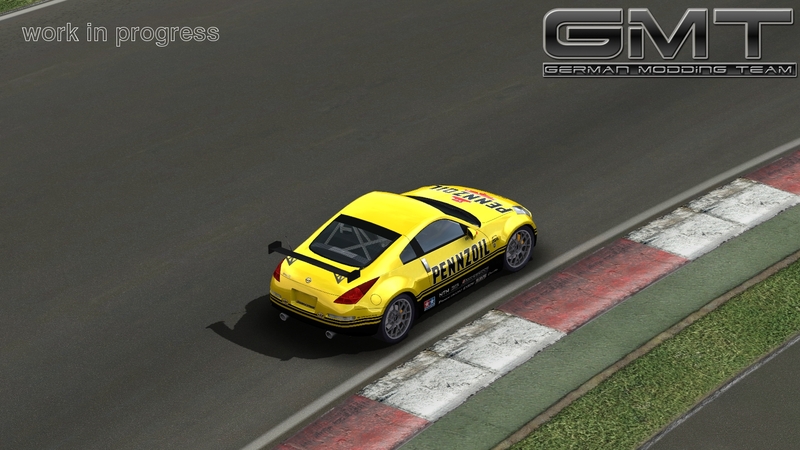 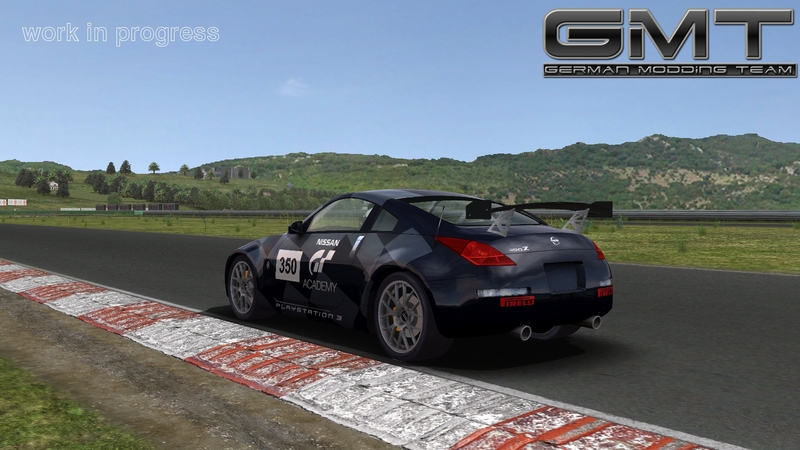 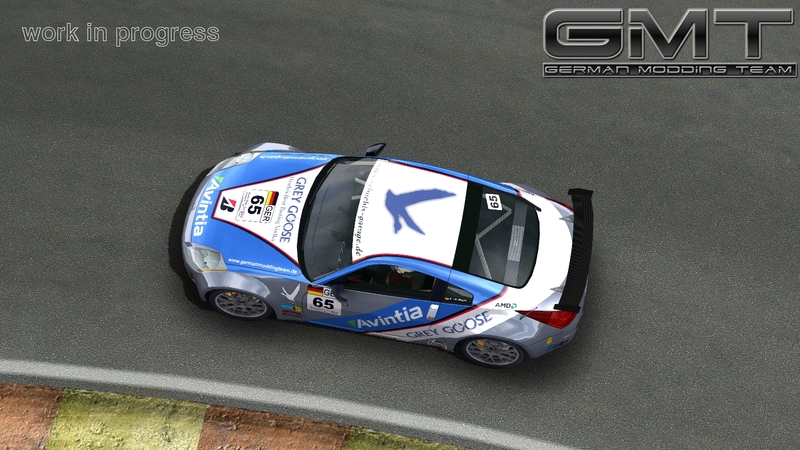 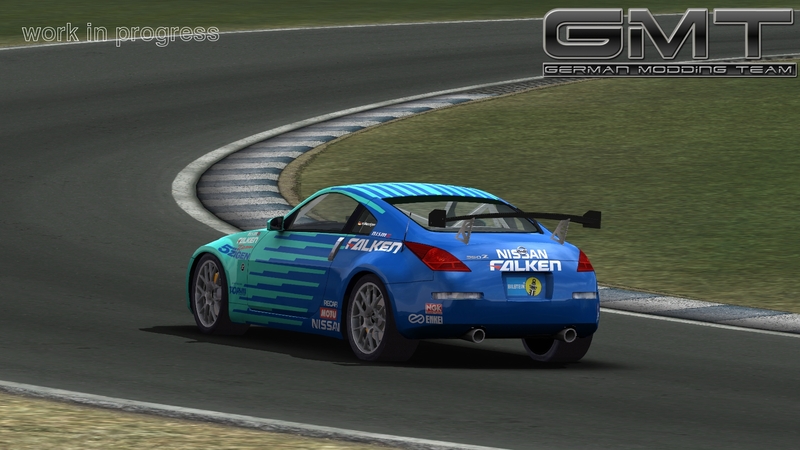 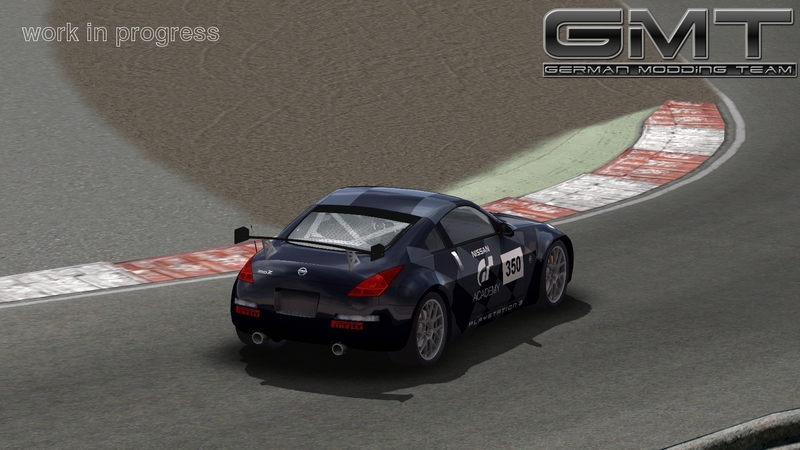 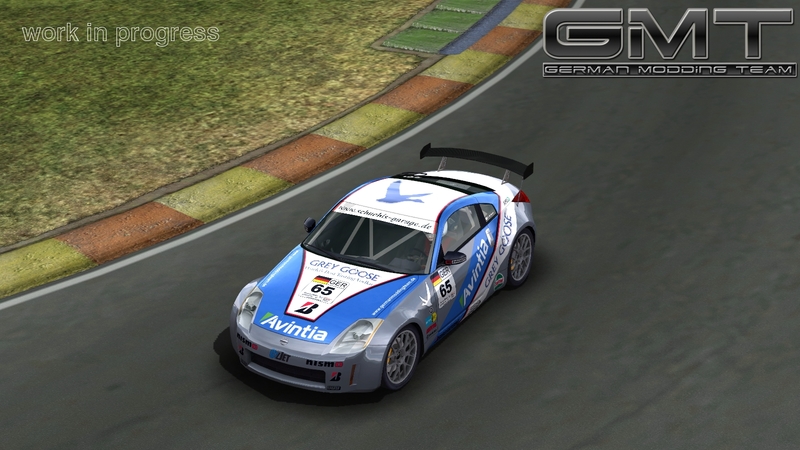 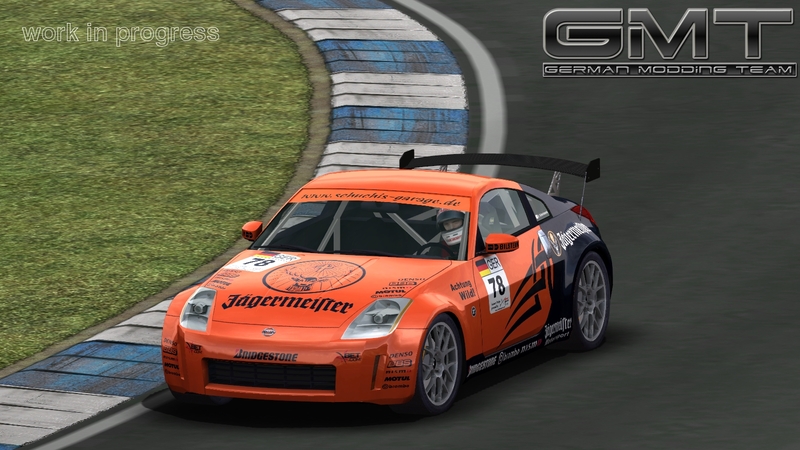 Team GMT has released twenty new preview shots of their Nissan 350Z road car for rFactor, GTR2 & GTR Evolution. 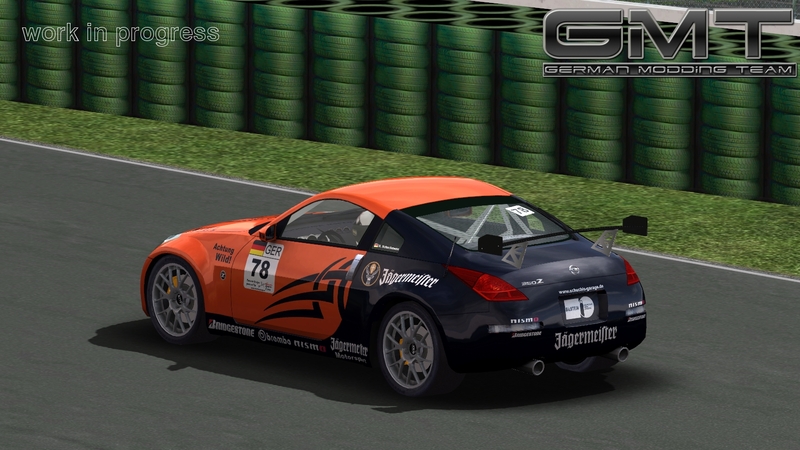 The shots show both the road-going version of the Japanese sports car as well as a fictional cup racing version painted in various skins, including rear wing, roll cage and Motec display in the cockpit. 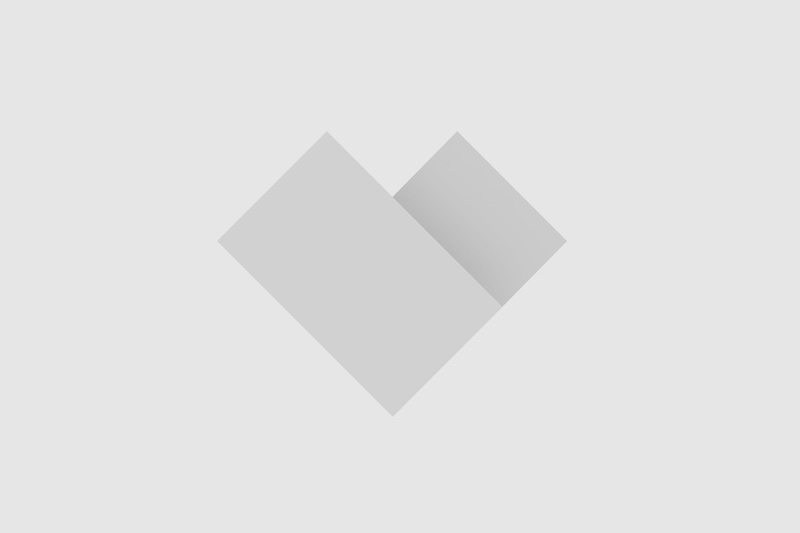 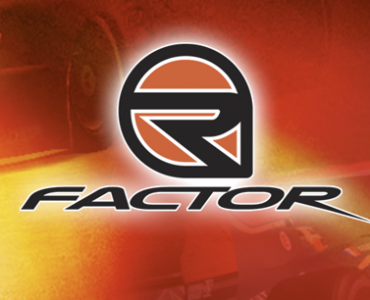 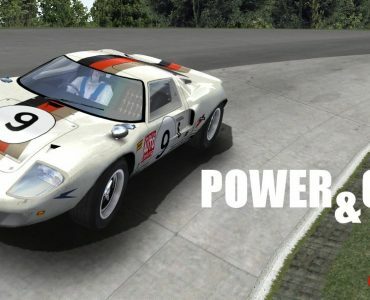 Started by Simulationsfanatiker, the project has been taken over by Team GMT to ensure speedy process on the multi-platform mod. 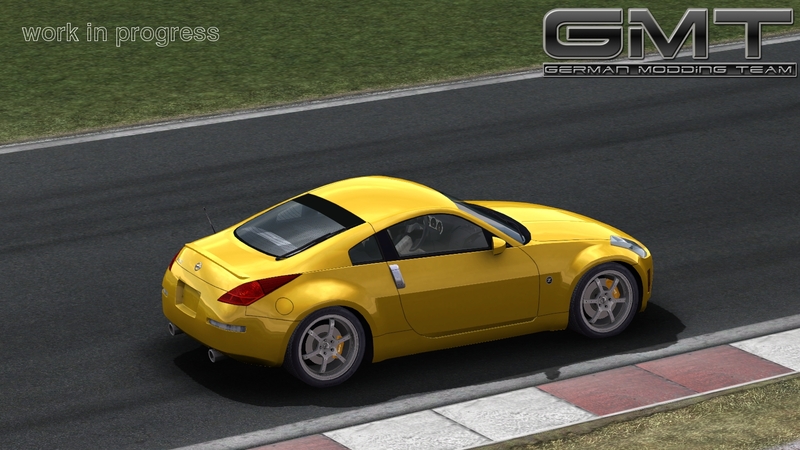 Powered by a 3.5 liter V6 engine, the 350Z was built from 2003 to 2009, being available both as coupe and roadster version. 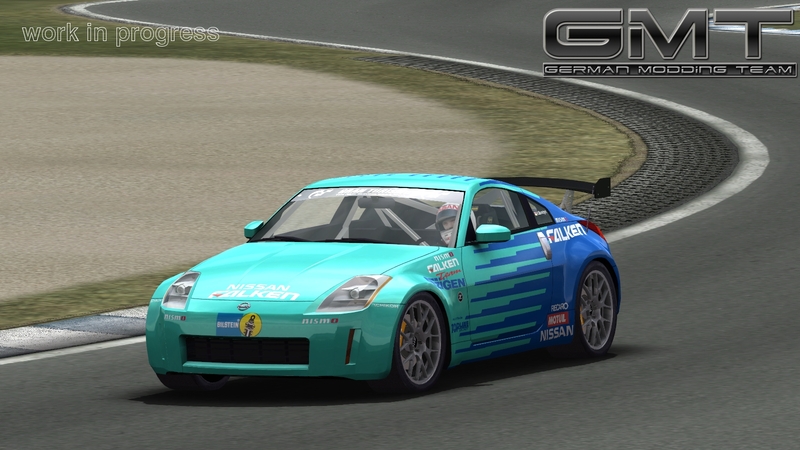 The car looks great! 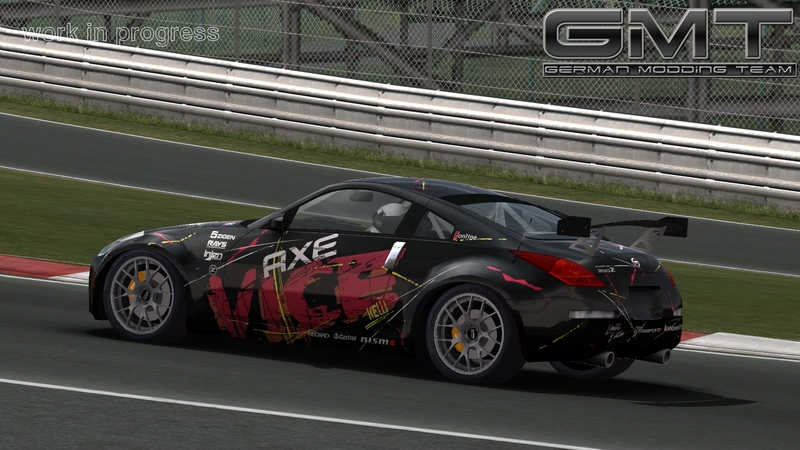 I can’t wait to try it out in Evo. 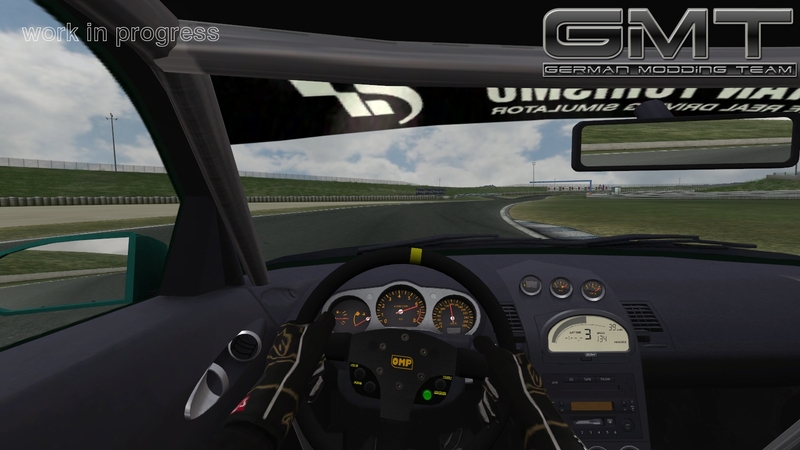 I dont like to be a critic of other peoples efforts, but I do notice that the steering wheel and driver appear quite small compared to the car. 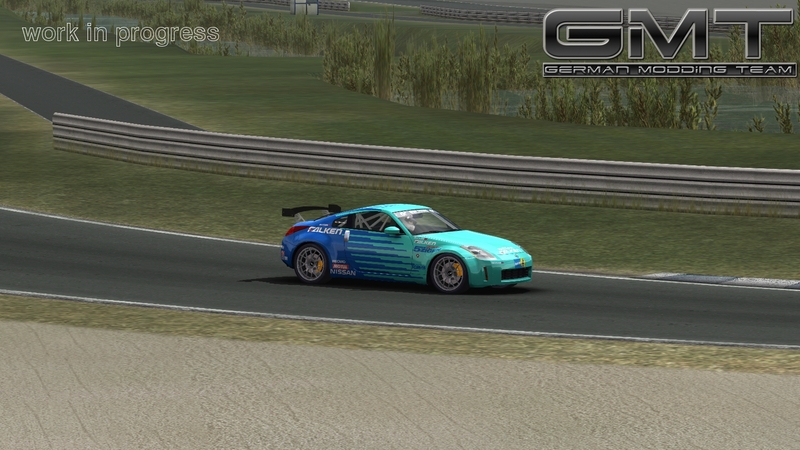 The car looks great though, its nice to see road cars sometimes. 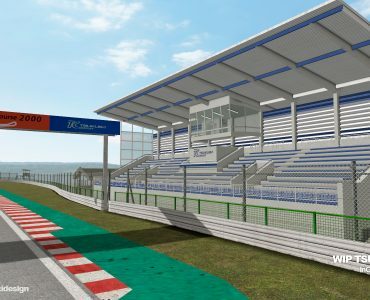 Don’t worry… you won’t have to wait that long 😉 . 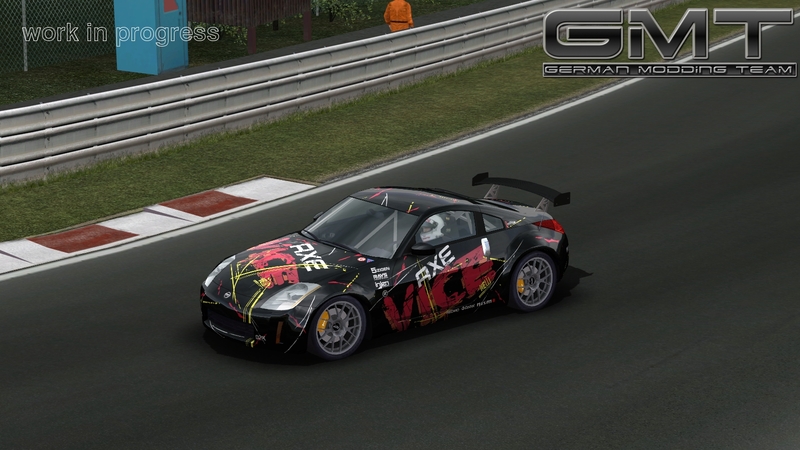 No problem, I like your critic because it shows me that there are people interested in this car. 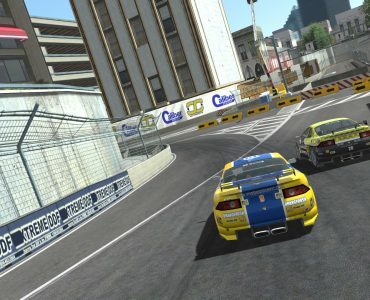 I think you are right with the “small man”. 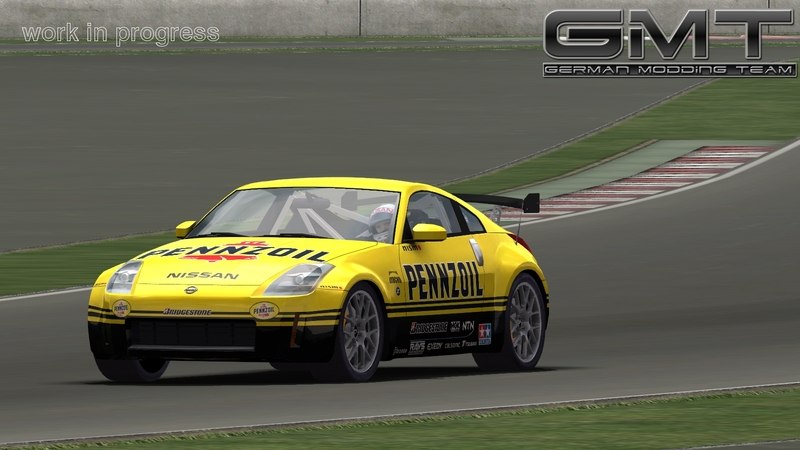 It’s off course the standard-GTR2-driver but I’ll see if we can give him some of popeye’s spinach :D.
I notice the small driver in many mods. 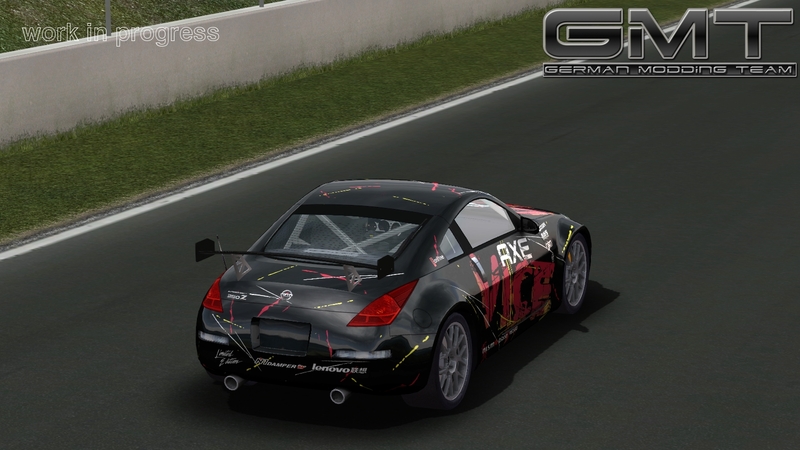 Are ya’ll going to do the welding marks on the roll cage?